My eyes were opened immediately as I found it was a fast and flawless way to manipulate my objects. It pans, tilts, rotates, spins, and zooms with intuitive controls, which easily cut my time working in assemblies in half (design time decreased too, but biggest improvement was seen in assemblies). I’m so glad I didn’t fight him, and after leaving that company, came to the realization that I would be incapable of performing to the best of my abilities without one. Why’d I go with this little guy? Reasons. At 78mm in diameter, and 55mm high, it has the heft to feel substantial when using it, but is also in a good range for portability. And portable it is. My compadre has been around a few times; Countless trips back and forth between home and the office, and has accompanied me on local and international business trips (The TSA always has some fun questions though). I do really need a case to get the most out of toting it around… should probably get on that before my upcoming trip. 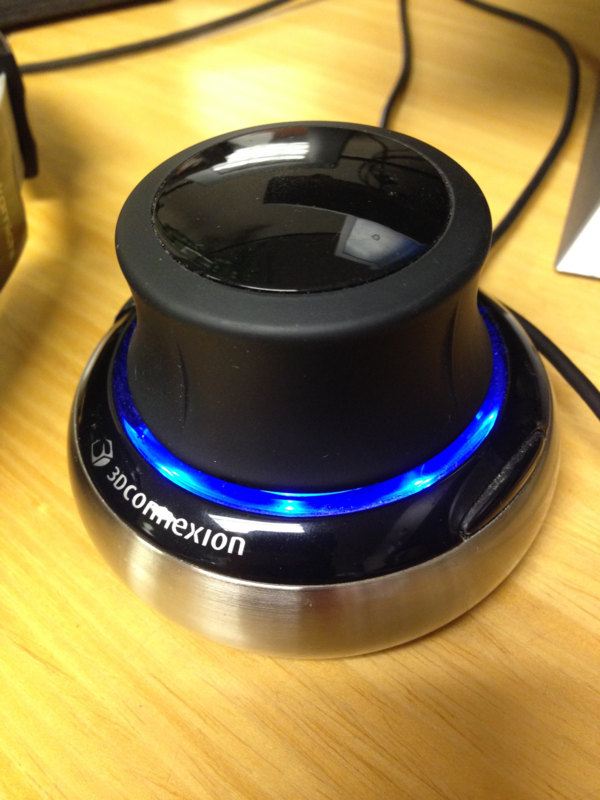 When compared with its bigger brothers, the SpaceNavigator is most obviously lacking in the area of buttons. It’s true that you can do a lot of work quickly with the added features that a SpaceMouse Pro or SpacePilot Pro can offer, but I found myself using two functions more than anything else: Shift and Esc. With programmable buttons, the SpaceNavigator filled that gap in my life handily, and with the addition of Radial Menus in the 3DxWare 10 software, the functionality of those two buttons expands even further. Coming in around $99 retail, the SpaceNavigator is more affordable than its beefier counterparts, and I was able to score mine on eBay to the tune of $70, brand new. 3DConnexion software works with a wide array of applications. 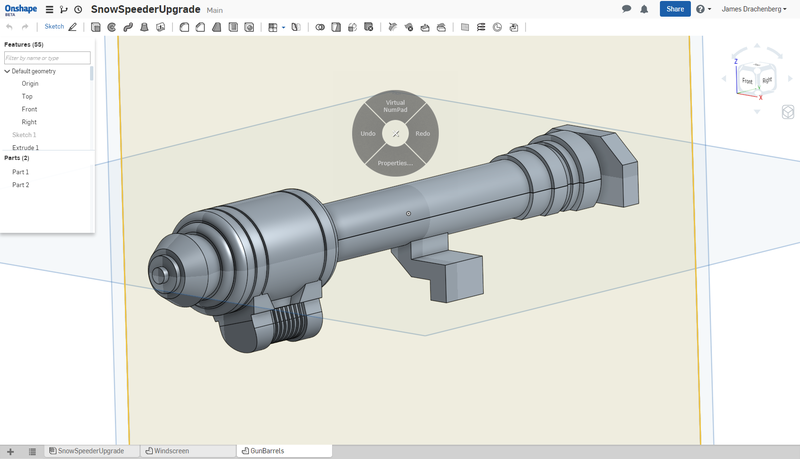 So far, I’ve gotten fantastic use out of my SpaceNavigator using SolidWorks, Pro/E, FreeCAD (controls are a little janky on this guy, but was surprised it was accepted to begin with, so my expectations were not super high) and now even Onshape! There are so many more programs these super tools will work with. Check out their website for the full catalog. 3DConnexion, you make a mighty-fine piece of hardware (and corresponding software). Thank you for helping me achieve my goals a lot faster and a bit more effortlessly. And Dave Gavin, if you’re out there reading this, a big “Thank you!” to you too. Your welcome. Dang you stay busy.